Conwy jobseekers have collected almost 200 qualifications as part of hospitality and customer service training schemes run by award-winning CAIS Social Enterprises. Participants from council-backed Crew-it and EU-funded At-Your-Service joined programme leaders and special guests at Station Court in Colwyn Bay to collect certificates and celebrate their successes. Under the two schemes, a total of 82 people have been given training and practical work experience by the award-winning team behind the popular Porter’s Coffee Shop and Bistro on the town’s Station Road. Thanks to support from Conwy County Borough Council’s Community and Enterprise Development Scheme, over the last three years Crew-it helped 50 people get work-ready, got 25 into jobs, and supported the attainment of 166 work-related qualifications. At-Your-Service – which was funded by the European Social Fund through the Welsh Government, as part of the Active Inclusion Fund managed by WCVA – delivered 11 new roles, 30 qualifications and 5 volunteer posts. The programmes, which both targeted the tourism and hospitality sectors, provided opportunities for people furthest from the jobs market to overcome barriers to employment, and join industries which together contribute hundreds of millions of pounds to the economy of Conwy and sustain thousands of jobs. Operator CAIS Social Enterprises was recognised as one of the best social enterprises in Wales late last year after winning the health and social category at the Social Business Wales awards in Cardiff. 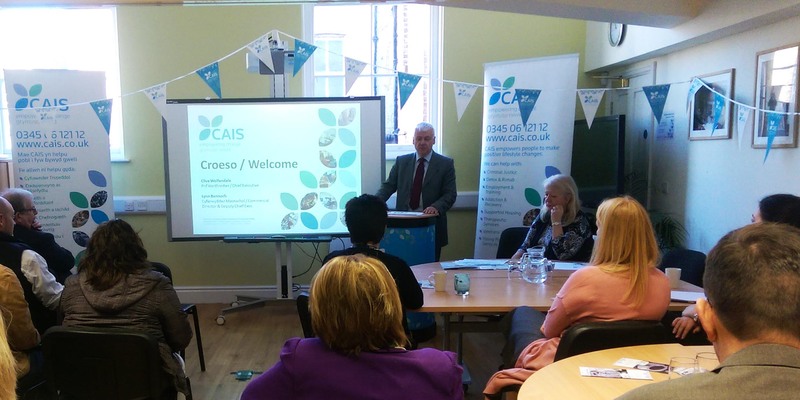 CAIS chief executive Clive Wolfendale said finding work was “one of the most important factors in helping people get back on their feet” following significant life challenges. Deputy Mayor of Colwyn Bay Jeff Pearson hailed the success of the programmes. “I’m impressed with all the hard work which goes into providing the training people need to find work, and to see the results,” he said. • Our Crew-it programme has now reopened!